The veteran detective Sommerset (Morgan Freeman), is about to retire. 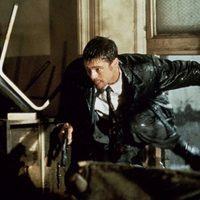 And with the rookie Mills (Brad Pitt) will be in charge of catching a dangerous murderer who runs his crimes on basising it of a relationship with the seven deadly sins (gluttony, lust, anger , sloth, pride, envy and greed). 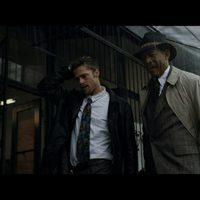 Among the many examples of typical, in recent decades, film couple of detectives with opposite characteristics, whether ideological, racial, generational or distant temperaments (away from the detective typical solo aura loser establishing the black cinema of the 30 and 40), "Seven" is one of the most ingenious proposals ever presented in this subgenre of crime thriller that makes you be on your seat during the film. 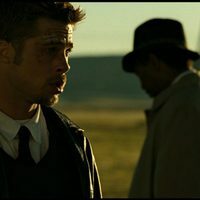 Write your own 'Se7en' review.